While a majority of people in the world would like to be the driving proponent for change, very few would have chosen to do so by getting hospitalized from beatings by police officers. Unfortunately, Rodney King did not have that choice. On March 3, 1991, Rodney became a symbol of police brutality and started a fight for change after he was taped getting brutally beaten by police officers. His life from then onward would no longer remain the same as it was – moments before the incident, when he was just another taxi driver in the City of Angels. Who was Rodney King? This and other important details about his life are discussed below. When Ronald and Odessa King welcomed their baby boy on April 2, 1965, neither of his parents thought their child would one day become the symbol of police brutality in the country. Certainly, not even Rodney knew that. A man who had a difficult childhood himself after losing his father to alcohol abuse, Rodney was a convicted felon after he was found guilty of robbing a convenience store. After his release, King took up taxi driving. Driving back to his house after a night of watching basketball and drinking at a friend’s house, King, along with his friends, in the early hours of March 3, 1991, were stopped down the Foothill freeway. Caught speeding by the California Highway Patrol, the friends were pursued after King refused to pull over because of the implication of driving under the influence of alcohol on his parole. The pursuit lasted 13km and involved several other police officers and a helicopter. After King was caught, he entered into a tussle with police officers that ended up in the brutal beating. George Holliday proved to be the man that would ignite the fire of a racial protest. A recording of the incident showed Rodney being tasered twice by the LA Police after which he got hit with batons from multiple police officers. The recording of the incident ended up at KTLA Television and sparked a riot that lasted 6 days and it took the National Guard, United States Army and Marine Corps to quell the protests and restore peace. King’s hospital assessment showed he had a fractured facial bone, a broken right ankle, and multiple bruises. Although the officers who committed the grievous atrocity were never prosecuted for any wrongdoing in the state of Los Angeles, which led to the infamous 1992 Los Angeles riots, King filed a lawsuit against the city and won a $3.8 million settlement. After the protest quelled, King became a voice against police brutality and an activist. Using money from his settlement, he established a record label with the intention of populating it with minority employees but the business failed. King tried to live his life and put the incident behind him despite the fact it had made him an involuntary famous person. After a couple of marriages that failed, he met Cynthia Kelly and the two agreed to get married in 2012. Unfortunately, King suffered from the same disease as his father, alcoholism. He was arrested multiple times for driving under the influence of alcohol and speeding. In 2008, he checked himself into a rehabilitation center, hoping to fix his addiction. 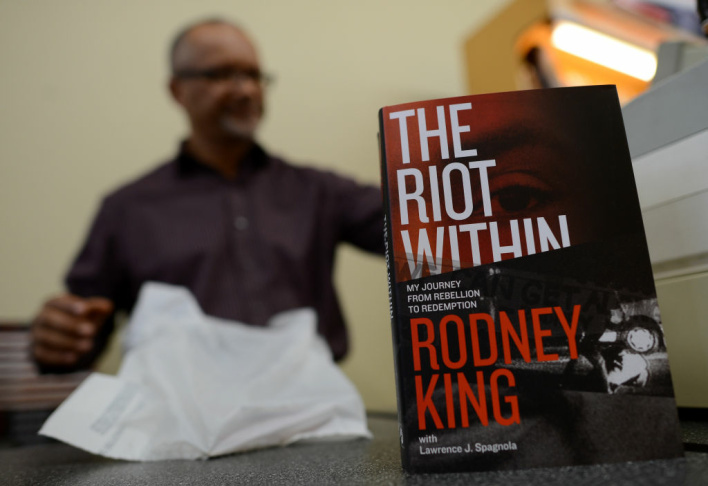 In 2012, before his death, King published a memoir, which he titled The Riot Within: My Journey from Rebellion to Redemption. His story and particularly, the incident of 1991 has been subject to various works of art. It’s been made into a film multiple times and documentaries have been made, retelling the story. King is known for calling for an end to the riot while he was on his hospital bed with the famous words – “can’t we all get along”; his daughter Lord King established a foundation in service of those words, working to bridge the gap between the police and members of the African-American community. Death – How Did He Die? Rodney was found dead in his swimming pool on June 17, 2012. After an autopsy was conducted on his body, he was discovered to have died from accidental drowning due to a combination of multiple drugs in his system. He was found dead by his fiance, Cynthia Kelly. Rodney King died exactly 28 years after his father died. Both men died in a pool of water from alcohol abuse. Although the officers who beat Rodney were never convicted in a state trial, they were found guilty of excessive force at the federal level and the two of them were sentenced to 30 months in prison. The 1991 riot resulted in more than 7000 fires, 63 deaths, and 2383 injuries. The riot spread to other cities such as San Francisco, Las Vegas and Seattle. A minor riot also occurred in Toronto, Canada.